A cross between the Siberian Husky and the Welsh Corgi resulted in the adorable corgi husky mix—a breed known to steal hearts! This doggy is known for its small to medium-sized and good looks and is known to be a happy, naughty, mischievous, and eager-to-please doggy. These dogs make amazing companions for those looking for an outgoing, social, and friendly dog who can live in smaller places. The corgi husky mix has, in fact, got the best of both worlds. These dogs do very well in adapting to weather conditions and need a lot of exercise to live a happy life. In this blog post, I would like to introduce you to this cute and friendly dog and share facts like their appearance, grooming needs, medical issues, life expectancy, etc. I’ll try to make this an all-in-one guide! The Genes Dictate It All: A Little About the Corgi Husky Mix’ Parents! 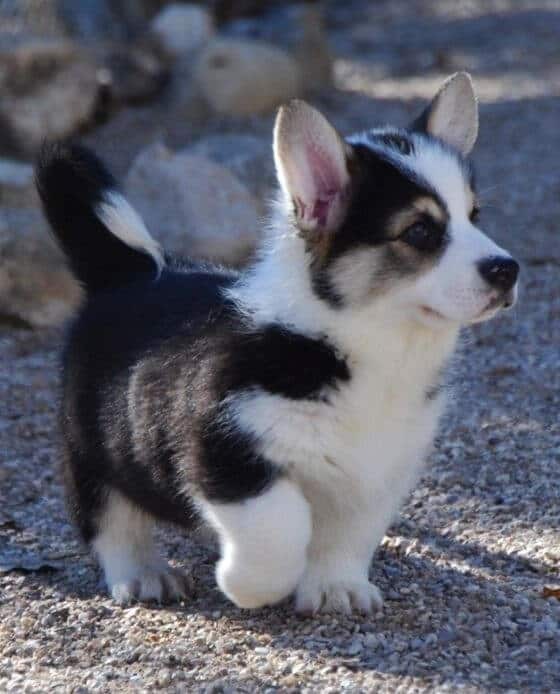 The corgi husky mix has won over a lot of hearts all over the world and one of the most popular mixed breed or designer dogs for the past 25 years. Both of the parent breeds are known to be herding breeds and this small to medium-sized dog is known be a good herding dog and a great companion. Let’s take a look at the parent breeds, shall we? This small herding dogs finds its origins in Wales, England and is quite popular all over the world. As a breed, the Welsh Corgi is known to be used as a herding dog for mainly cattle and sheep. 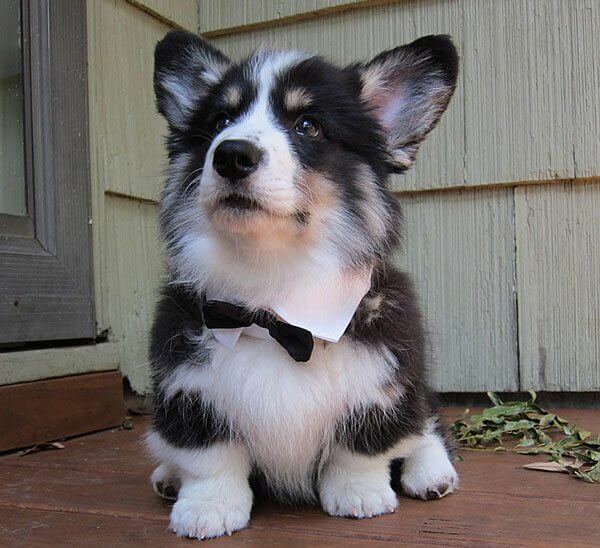 Corgis are known for their intelligence as well as their devotion toward their owners. They make amazing watchdogs and are wildly popular for their cute looks. Originated in Siberia, Russia this medium-sized dog breed is one of the most popular ones in the modern day. Known to be bred mainly by the hunting and gathering community of the Chukchi people, this herding dog was specifically bred to be able to withstand the harsh cold. But there’s more that makes this dog great. Siberian Huskies are pack animals that enjoy their time with other animals and a big family. These active dogs are known to get destructive if they don’t find the right outlet for their energy. Since the Horgi is a mixed breed dog, it is hard to predict which one of its parents it will take after—especially so if he’s a first generation mix meaning that it has one Siberian Husky for a parent and a Corgi for another. So, it is always a gamble with designer dogs. 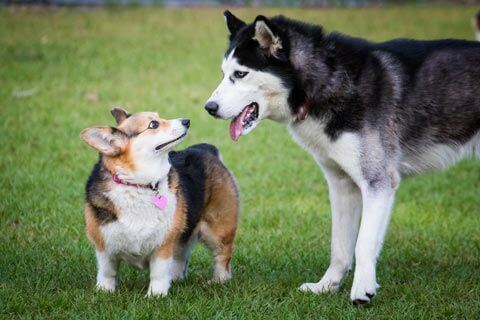 The Horgi is known to be on the smaller side of things when it comes to sizing—the dog is known to fall somewhere in the middle and may resemble a small Husky or a rather large Corgi. It’s all in the dog’s genetic heritage! The average height of a Horgi is about 14 inches but it can be as much as 18 inches as well. The ideal weight ranges between 20-25 pounds. There’s one iconic thing, though. 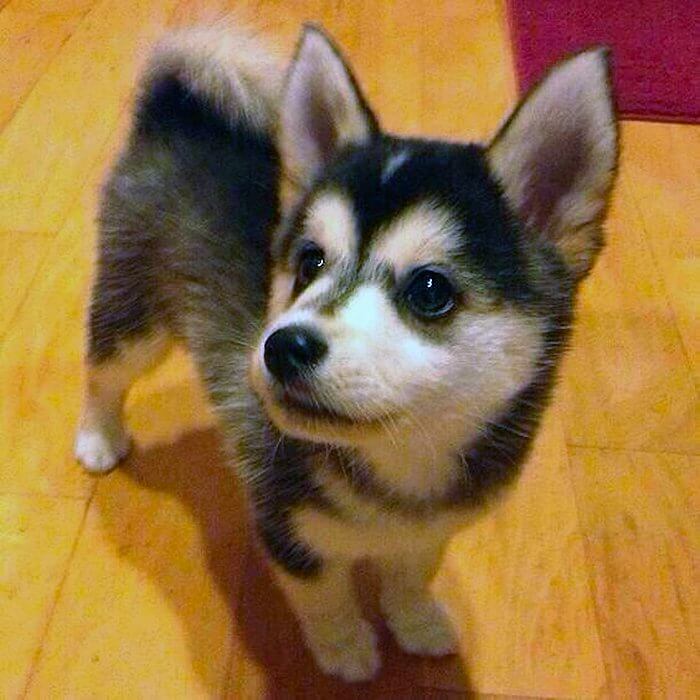 The Horgi is known to inherit the Corgi’s legs and the Husky’s face—making him look like a puppy Husky! However, the looks of the Horgi have sometimes been compared to that of the German Shepherd. Other than that, this dog has a rounded head, a curled tail, and his ears are known to be upright when he’s alert. The Corgi Husky Mix is known to have a straight medium-length coat which is resistant to water. The coat can be inherited from either of the parents or may even be a mix of the two. And it is not mandatory for all the pups belonging to the same litter to have a similar-colored coat! Coat type Double, if the dog is more inclined towards the Welsh Corgi the coat is long and thick. If the dog is more like the Siberian Husky, the coat may be straight, dense, and medium. The Personality Matters As Well: All about the Temperament! The Horgi is known for its sweet temperament and is known to be an easy going doggy friend who enjoys your company, love, and affection. In this section of the blog, I would like to share with you a few facts about the personality the Corgi Husky Mix has. However, there’s one thing I would like you to know. The thing with designer dogs is that you really can’t predict their personality and temperamental traits as they’re a mix of two different breeds. So, this means that you need to take what I’m sharing with a grain of salt. With that being out of the way, let’s talk about the personality! This dog is known to be friendly but not over-friendly. They do well with new people and are friendly. The thing to note is that these dogs are trusting but not over-trusting. These dogs are social creatures and love to entertain people and kids. They do really well with other animals and love to be the center of attention. This is a trait that the Corgi Husky mix gets from both of its parents. The dog simply loves to be around a lot of people and animals as he’s a pack animal. This dog also does really with young families if trained well. The Corgi Husky Mix is known to always be on alert and makes for a really good guard dog—and is not even an excessive barker if trained correctly! The Corgi Husky Mix is as loyal as they come and puts his owner before himself. The dog will never disappoint and would do anything for you. Both the Welsh Corgi and the Siberian Husky are known to be intelligent breeds and this trait is also inherited by the Corgi Husky Mix. This breed catches onto things rather easily and training them is extremely simple. These dogs have an eager personality and are always up for new adventures. They’re also eager to please their masters as they love their cuddle time. The Corgi Husky MIx is known to love his owner and care for him deeply which makes him an amazing companion who also fulfills one’s emotional needs. The Horgi has a really healthy appetite but, is also known to gain a lot of weight if fed freely and allowed to eat more calories than required. And so, it is important for you to keep an eye on the dog’s daily caloric intake. Since the Corgi Husky Mix is a designer breed, the recommended daily caloric intake depends on the dog’s size so, I recommend that you consult your vet to figure out how many calories you should feed your dog. The vet will be able to make the right estimation keeping the dog’s size, activity level, and ideal weight range in mind. This’ll make sure that you aren’t underfeeding or overfeeding your doggy friend. I would say that common items in your kitchen such as olives, tuna, and sunflower seeds make good treats for the dog. It is not a secret that every dog has maintenance needs. These include the grooming needs as well as the exercise needs of the dog among other things. In this section, I’ll go through the Corgi’s grooming as well as his exercise and activity needs. The Corgi Husky Mix is a moderately active dog and needs to be taken on at least one walk per day to keep him happy and healthy. This doggy is known to become cranky if his activity needs aren’t met and may even behave poorly. The Corgi Husky Mix does best when he’s left off leash and so, needs to have total recall and trained well. The dog does really well in dog parks and when he’s allowed to play with other dogs. You should also make it a point to regularly play games such as fetch, frisbee, etc. with the Corgi Husky Mix. One thing you must know is that the Corgi Husky Mix is not hypoallergenic as both of its parents are known to be shedders. And so, the Horgi is known to shed throughout the year. So, I recommend that you invest in a good brush as well as a best vacuum for pet hair. The dog needs to be brushed at least once a day as regular brushing helps with shedding. You also need to bathe the Corgi Husky Mix on a regular basis using a good dog shampoo as well as a conditioner to keep the coat shiny, soft, and healthy. Since the Horgi’s coat is resistant to water, bathing him will be a task of its own as you’ll have to put a lot of effort in to lather the soap. It will take a long time for you to dry your Corgi Husky Mix due to his thick coat. You will also need to wipe your dog’s ears clean at a minimum of once a day with a moist cotton ball. You should also make it a point to grind your doggy’s nails or trim them on a regular basis as long nails make it uncomfortable for your dog to walk and may even hurt your doggy friend. The Corgi Husky Mix is a cute, friendly, and loving dog that makes a perfect companion for humans. This dog does really well with families, other pets as well as children. The small to medium-sized dog is known to be mischievous and naughty and does well in small homes and apartments. However, the dog is known to shed throughout the year and has moderate to high grooming needs. The Corgi Husky Mix is a fairly active dog and needs to be taken on at least one walk a day. This good looking dog is an excellent companion, a trusted friend, and an alert guard dog. Do you have any unanswered questions? Share them with us in the comments section and we’ll get back to you as soon as possible.